Western Red Cedar excels as a timber for architectural design. Whether your personal choice is for a rough, rustic look or a sanded, smooth finish, this wood connects our increasingly hectic world of civilization with the serenity found in the deep forest. Our mill is located in the heart of the beautiful Squamish Valley, one hour's drive north of Vancouver. From this picturesque location we are perfectly situated to see the grandeur of nature, and to anchor our business sensibility so that we will always respect the forest that our supply of Western Red Cedar comes from. 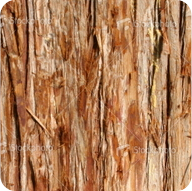 Since 1974 AJ Forest Products has delivered Western Red Cedar forest products. We plan on being around for a long time to come. AJ Forest Products is very much committed to milling according to industry best practices. Learn how we stick to our principles and stay the course.